While Chapter 7 bankruptcy is often used by individuals, it can also be used for small businesses when the owners want to close the business and liquidate its assets to pay off existing debts. - Castle Rock Bankruptcy Attorney - Jon B. Clarke, P.C. Jon B. Clarke, P.C. 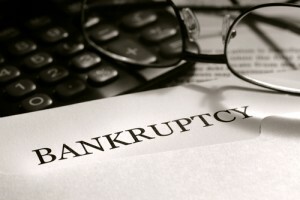 > Blog > Bankruptcy > Small Business Bankruptcy: An Overview (Part 1) > While Chapter 7 bankruptcy is often used by individuals, it can also be used for small businesses when the owners want to close the business and liquidate its assets to pay off existing debts. While Chapter 7 bankruptcy is often used by individuals, it can also be used for small businesses when the owners want to close the business and liquidate its assets to pay off existing debts.